Happy Friday all! Hope it's been a good week and you have fabulous plans for the holiday weekend. I see mostly work in my future, but that's OK. Yard work, house cleaning, it all needs doin! The good news, son #1 is coming home today after being gone all week! Can't wait to see him!! based on this sketch by Tina Taves. My original thought with this sketch was to use Concord Crush, and the In Color DSP. I thought through several other ideas, before coming back to the original. First instinct-trust it!! Card base is Concord Crush with a background layer of Pear Pizzazz DSP. The bottom accent is the reverse image Pear Pizzazz DSP on Concord Crush with Concord Ribbon knotted around and the saying across the bottom in Concord Crush. 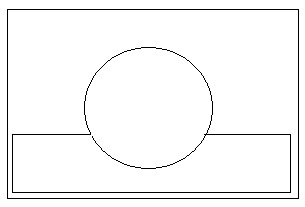 The focal element is a scallop circle from the Scallop Circle #2 Die. The Whisper White circle was punched with the 2-1/2" Circle Punch, the Pear Pizzazz circle was cut with the Circle Scissor at 2-3/4". 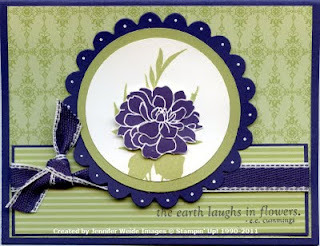 On the Whisper White I stamped the stem image from Fabulous Florets in Pear Pizzazz. I then cut out a Concord Crush flower and attached with dimensionals. 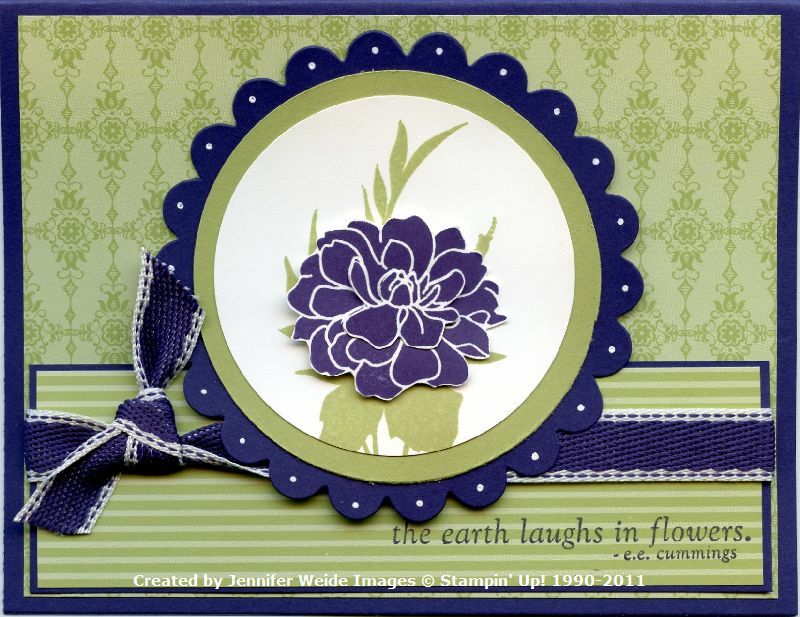 I also cut a 2nd "center" of the flower and attached that with dimensionals. Click the card to view the photo larger :). Accents on the scallop Concord Crush circle were done with the White Gel Pen. Thanks for stopping by today! Continue on our mini tour by clicking HERE to see what Kim has created for your viewing pleasure this week!! Your first instincts were perfect! And I love the gel one accents. This is beautiful! Very soft and elegant! I like the accents, too--very striking! Oh! This is so pretty! I love these colors together! Great details! What a lovely card Jennifer! Love those colors (always have).